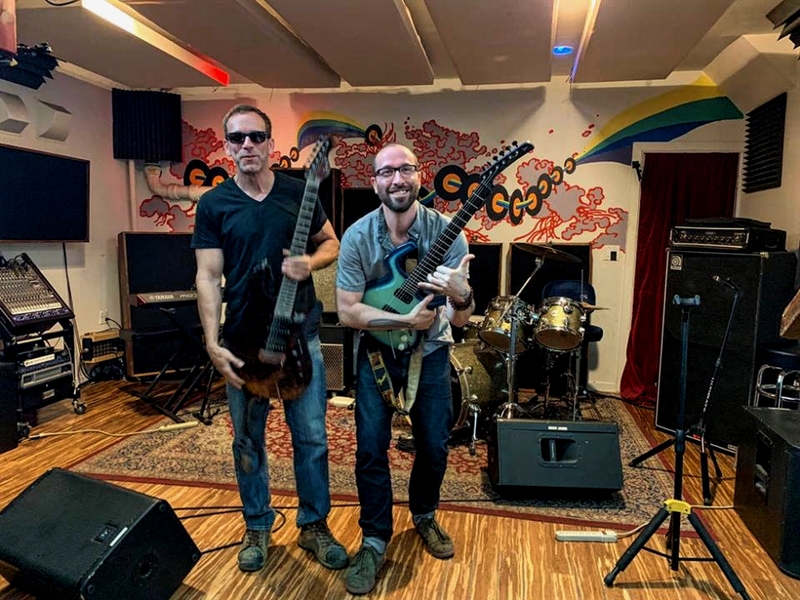 Pete Brown (left) and Zach LoPresti with the Loudo Imperium (left) and Parker Fly Deluxe. Credit: Zach LoPresti. 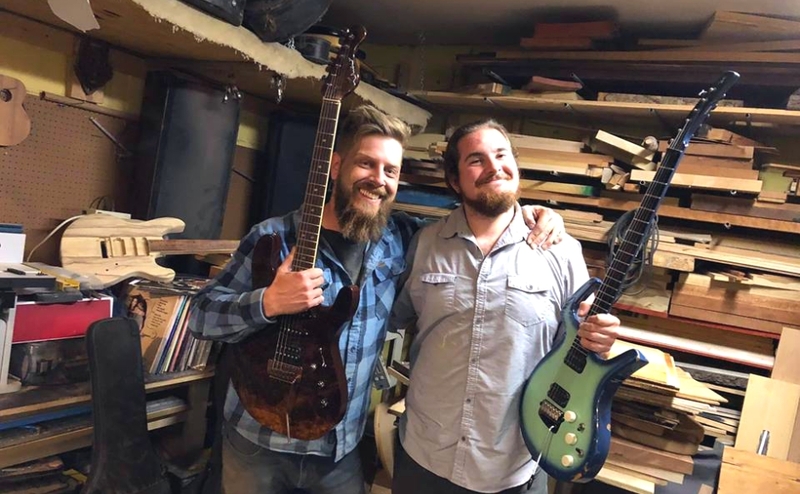 When a prototype guitar went missing, a community of musicians and a good Samaritan set things right. The Imperium, Pete Brown’s inaugural guitar model for his Loudo brand. Credit: Matt Walker for Loudo. What are the odds that a piece of stolen property makes its way back to you? According to the 2017 FBI Uniform Crime Report, you’ve got your best shot if it’s a locally stolen car: nearly 60 percent. Livestock and firearms are ranked two and three, at around 15 percent. The 12-percent category, “miscellaneous,” comes next. Everything else—household goods, jewelry, electronics—sports a less than 10-percent recovery rate. Which is to say that when your car window gets smashed open and two rare guitars are nabbed from the back seat, there’s very little chance you’ll see them again. When it happened to Zach LoPresti last Saturday, it was a weird ending to an unusual night. LoPresti had just wrapped a set at The Boom Room, a recording studio and live performance space in Fishtown. He packed up his guitars, a 2008 Parker Fly Deluxe, and a handmade Loudo Imperium, and headed for his car a block or so away. Some friends helped him load out the gear, and they all returned to the venue to watch the rest of the show. When the guitarist in the following band broke a string, LoPresti headed back to the car. He came back empty-handed. “A friend of mine had put her bag in there too; that had a computer in it, and that was gone as well,” LoPresti said. “But of course, what I saw was my two babies were gone. 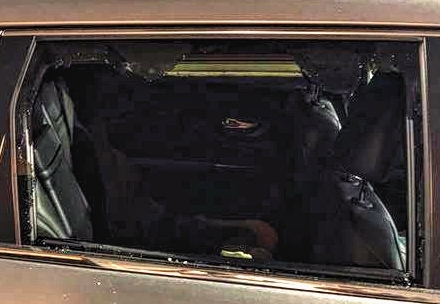 The broken window in LoPresti’s car. Credit: Zach LoPresti. “I didn’t freak out; I wasn’t outraged,” he said. “But my friends heard what happened and, one by one, they were standing with me, almost like I had just lost a family member. The Parker Fly was a combined birthday-and-graduation gift the LoPresti family had chipped in to buy for Zach when he’d turned 18. He’d been playing it for 11 years, and the thought of its loss was a significant disappointment. But the Imperium was Brown’s baby; the flagship prototype from Loudo Musical Instruments, and the first in his line of American-made electric guitars. LoPresti is Brown’s brand ambassador, and he was slated to play it Thursday for a performance that was to be taped for WHYY’s You Oughta Know. Brown had essentially designed the Imperium for LoPresti, and with a significant degree of input from him. It was literally a one-of-a-kind instrument because a second such guitar hadn’t been built yet. “[In that moment] I’m most nervous and upset because Pete’s going to be upset,” LoPresti said. 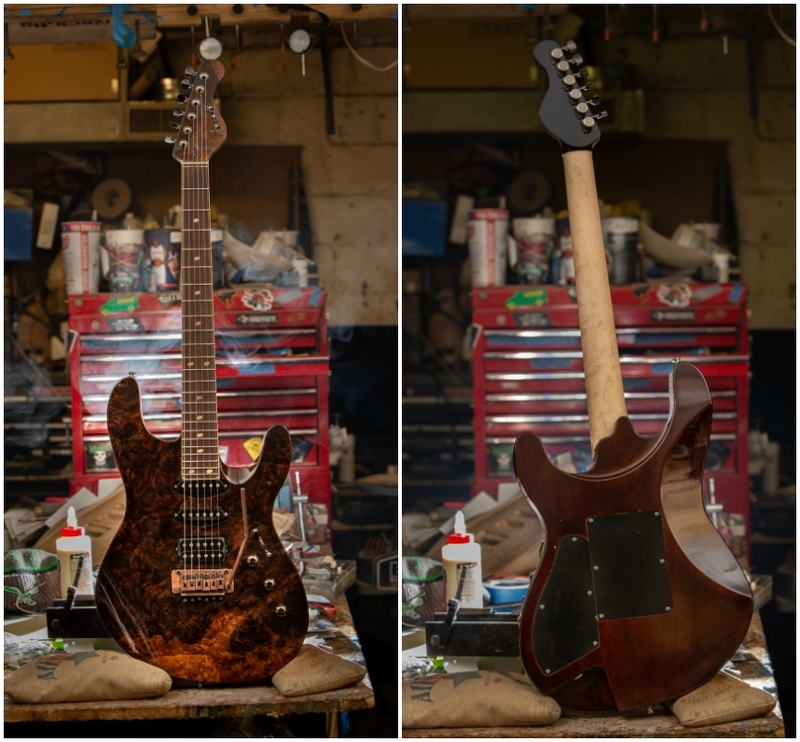 “For four or five years, he’s been saying, ‘I’m going to build you the best guitar you’ve ever played,’ and he poured his soul into actually manifesting it. When LoPresti broke the news to Brown, he was ready for the worst. Brown’s response was to put out an all-points bulletin to the local music community. Loudo Imperium in progress. 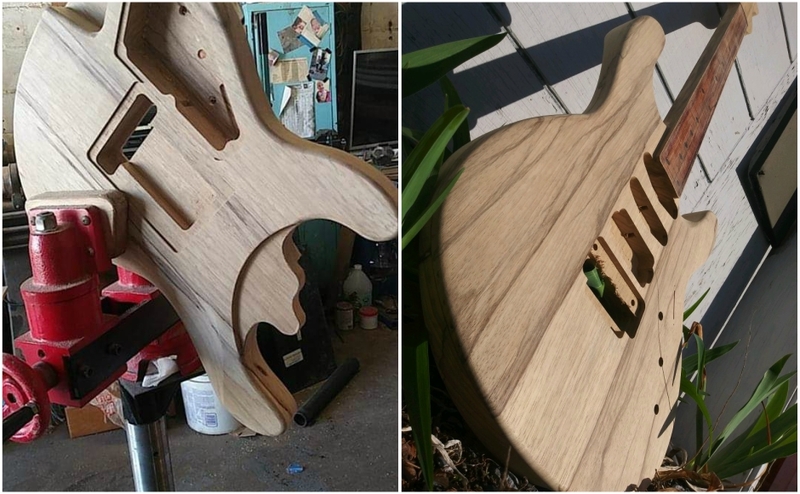 Pete Brown worked for two days straight to replace a prototype guitar that was stolen. Credit: Pete Brown. “I was bummed, but I wasn’t hardly pissed,” he said. While the community circulated the news, Brown went to work. The typical build time for a guitar is much longer than the window he had between Saturday night and Thursday morning, when the show would be taping. He dove into it, possessed. A few days later, Boom Room owner Gary Dann was contacted by somebody who said he’d found the missing guitars, and was trying to return them to their owner. That was 47-year-old Ed Gilchrist, a dump truck driver from Beverly. Gilchrist said he was approached by a man who said he’d bought the guitars from an addict. Details about how they were acquired were scant. Gilchrist initially tried to buy the guitar case alone, but the seller wanted to sell him the whole thing for $300. “He didn’t really know fully what was going on, and neither did I,” Gilchrist said. “I knew if he left with them, I’d never see them again. “And once I knew about the story anyway, I knew I was paying for something I couldn’t keep,” he said. Loudo wasn’t a brand Gilchrist had ever heard of. When he looked it up, the first thing he saw was the stories about how the instrument in his hands had gone missing from a talented player and a start-up company. “I thought, ‘There’s no way I could ever play them,’” he said. Gilchrist started messaging people online and asking around about the instruments. He was directed to The Boom Room, and by Wednesday night, the guitars were back in LoPresti’s hands. “[Gilchrist] didn’t want any money or reward or anything, even though he paid $300 to get those guitars,” Dann said. As grateful as the instruments’ owners were to have them back, Dann was just as grateful to have a happy ending to the story. “This is our livelihood,” he said. “I live on this block, and my studio is on this block. It’s getting nice and gentrified, or whatever you want to say, but hey man, this is still North Philly. You can buy a kale salad and an $11 smoothie across the street; there’s still people selling heroin and Xanax not ten blocks north of here. “There’s still crime and you’ve got to be careful,” Dann said, “but this particular time is an example of how I think the community put pressure on. LoPresti has been awash in gratitude and amazement. Strangers have offered him words of comfort, loaner instruments, and anything else they think he might need. Guitarists Jason Hosier (left) and Zach LoPresti (right) duet on the Loudo Recluse and Imperium models, respectively. Brown felt the love, too. For the two days he was working on overdrive, people were hunting down leads at pawn shops, dropping by to offer food, coffee, an extra set of hands in his workshop. The public embrace made him believe he was in the right place, doing the right thing. “This whole thing taught me something about myself that I did not know existed,” Brown said. “It taught me that no matter what, it’s happening. I can do it, that’s it. Now the folks involved want to pay it forward, too. Brown has pledged to build a guitar for Gilchrist, and Dann wants to offer him time in his recording studio. Gilchrist said he’s been overwhelmed by their response in such unusual circumstances. Editor’s note: the laptop bag stolen from LoPresti’s car hasn’t yet made its way back to its owner. Anyone with more information about its whereabouts is asked to contact him.